Posted on May 17, 2017 at 3:14 am. Stand Up Paddleboard Lessons are a great workout! 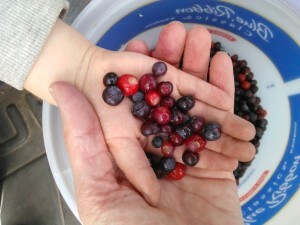 Breathe fresh air, let the sun give you a tan, and take in the sights and sounds of Lake CDA. Stand Up Paddleboard Lessons are a great way to get to know your SUP board or if you are considering purchasing one! 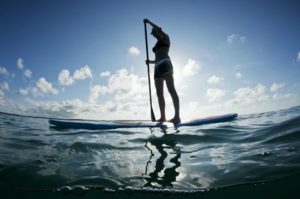 This class is designed for the novice stand up paddle boarder. It will include introduction to the equipment you will need and the various types of boards available. You will learn to get on and off your board and all the essential strokes needed to have a great time on the water. Price of lesson includes sup and gear or bring your own. Please call 208-918-2082 to inquire! 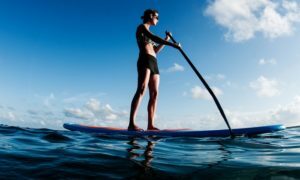 We provide a brief tutorial on paddle boarding when renting a stand up paddle board from us. 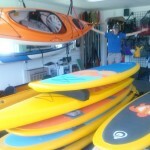 We provide a paddle, board, travel from the downtown shop to the water, pick up and a dry bag if desired. Stand up paddleboard rentals are a great way to explore the area and Lake Coeur d’Alene! Looking for a 360 degree view of the lake? 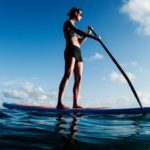 Spend the day touring on an SUP! 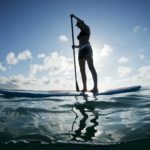 Stand up paddleboard rentals are available through us May – September. Make your reservation request online. Wait for your confirmation and directions to the downtown shop. Show up 10 minutes prior to departure. We suggest our customers pack a snack, water bottle, and a lunch, sunscreen, hat/sunglasses. Wear water friendly clothing or a swimsuit (no cotton) and comfortable sandals. Posted on May 15, 2017 at 3:10 am. Transportation distance is an important consideration when coming to CDA. You will want to reserve a rental car and make arrangements for activities for pick up and drop off if needed. Let us know when you make your reservations! CDA Adventures is 167 miles from Missoula, Montana (2 hours 36 mins). Citylink Transit, launched in 2005, provides reliable, efficient, and free public bus service to Kootenai and Benewah counties in North Idaho. Citylink operates four routes, 16 hours a day, seven days a week, including holidays. The interconnecting network comprises over 150 stops, spread across 200 miles of road, and transports an average of 50,000 passengers per month. We strongly recommend that you make reservations a month in advance and rent a vehicle for your transportation while here in Coeur d’Alene, Idaho! Posted on May 13, 2017 at 3:07 am. 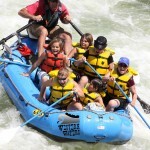 We offer 4 options for White Water Rafting Idaho! 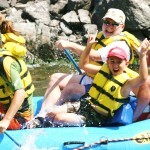 Coeur d’Alene is close to a rafting jewel for summer white water rafting Idaho. It is called the Alberton Gorge and is a world class white water mecca. It is a 2 hour and 15 minute drive along I-90 over lookout Pass and into Western Montana. Yep, Montana, visit two states in one day! 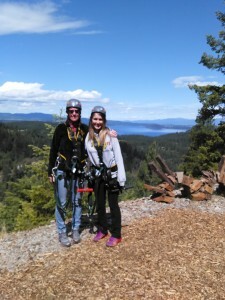 Why choose Cda Adventures? We are owned by a local family who takes great pride in their backyard and want to share stories and fun filled days with guests on the Clark Fork river. 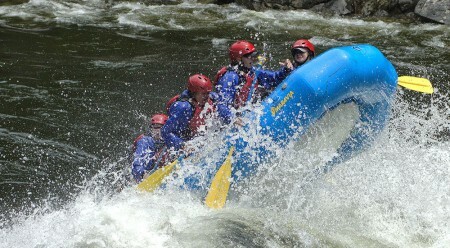 This trip is 12 miles long and can be enjoyed for a half day rafting trip or a full day rafting trip. Please contact us or book on line! One in Washington, one in Idaho, the other two in Montana. Our sister company, Adventure Missoula, is the original outfitter of whitewater rafting through the famed Alberton Gorge (formally known as Western Waters). 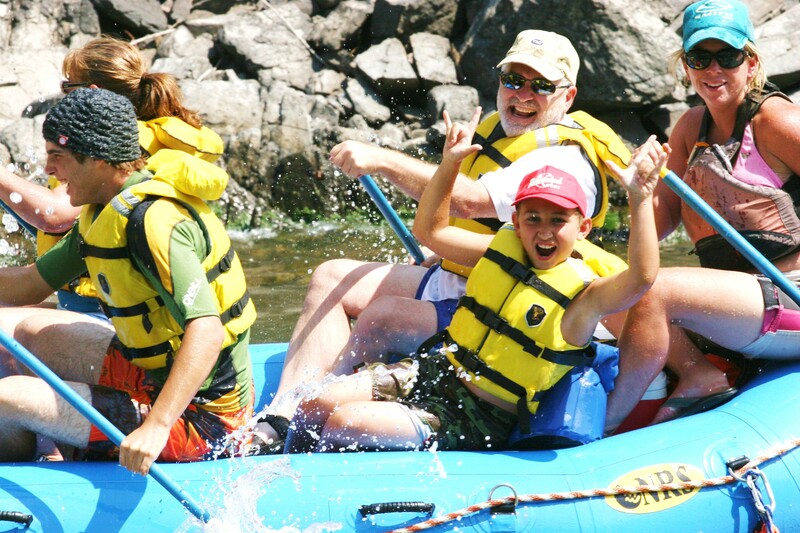 Our experienced staff from CDA Adventures and Adventure Missoula will provide a fun and safe experience for people of all ages! 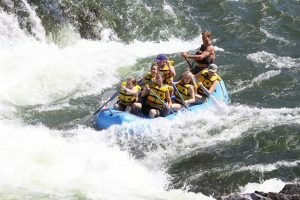 Rafting the Clark Fork River is considered to be the best whitewater rafting in the state and world-class. 1. Alberton Gorge Clark Fork River Full Day Whitewater Rafting River Trip Montana (25 min. from Missoula, 2 hour drive from Coeur d’Alene ID) Our customers meet right at the river entrance! We run this trip Mid June-Oct. If you are driving over the MT/ID border there is a time change. 2. Alberton Gorge Clark Fork Half Day Whitewater Rafting River Trip Montana (25 min. 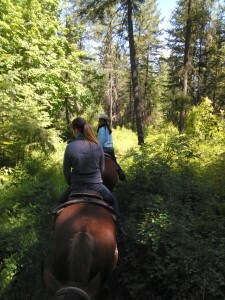 Missoula, 2 hour drive from Coeur d’Alene, ID) This trip is run Mid June -October. If you are driving over the MT/ID border there is a time change. 3. 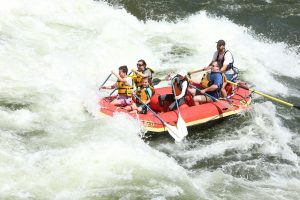 Lochsa Full Day Raft Trip Idaho (2 hour drive from Missoula, 3 hour drive from CDA) This trip is run April-July 1st. only and requires higher water to go. If you are driving over the MT/ID border there is a time change. If you are en route to Glacier National Park, take a break with CDA Adventures/Adventure Missoula and join us for a half day raft trip!